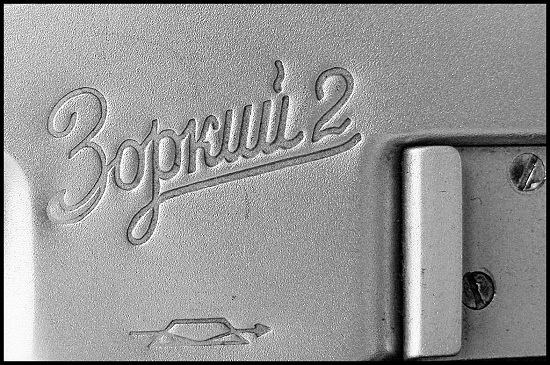 Last version based on the Zorki 1 body. 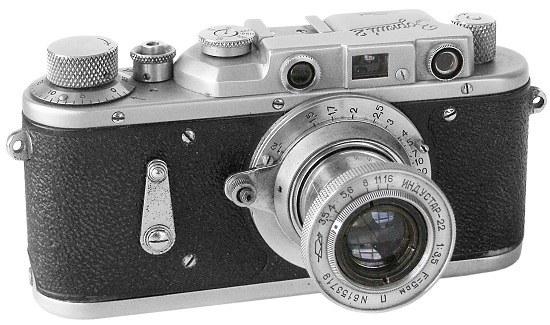 Identical to the Zorki (1e), with Zorki-2 stamped in the top plate plus a few improvements: Kiev-type selftimer on the front of the body; new shutter speed knob, larger with an index on the centra shaft; the shutter release button no longer turns when the shutter is being tensioned; the collar becomes the rewind clutch selector, replacing the lever; strap lugs . PM1455. 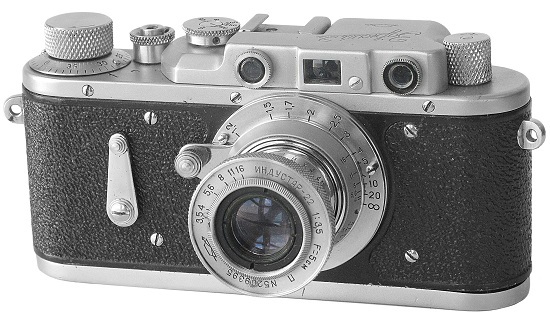 An earliest productional version of the Zorki-2 camera. Different mouldings of the top plate (see finder's window area). 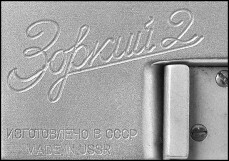 Serial number (without date prefix yet) engraved on the top plate (see picture below). An only so far known camera has serial number #001004 (K.Kuroedov coll.). Camera opposite from Konstantin Kuroedov (Russia) collection. PM1460. An early productional version of the particular camera. 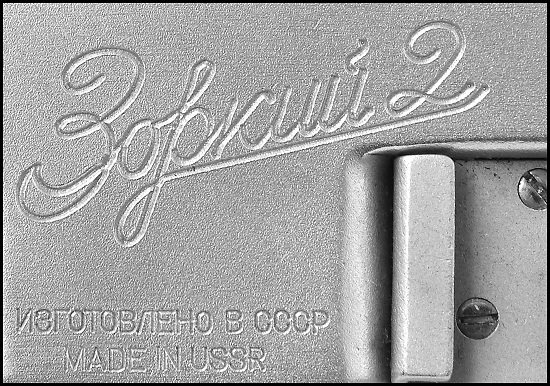 Name markings in Cyrillic characters are stamped on the top plate (see picture below). PM1465. The most common to find version of particular camera. 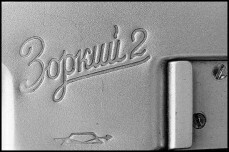 Name markings in Cyrillic characters are engraved on the top plate. 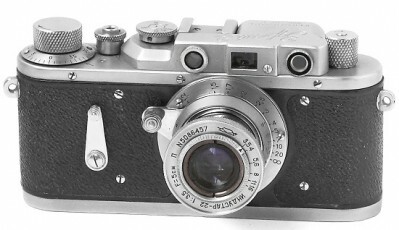 PM1470. 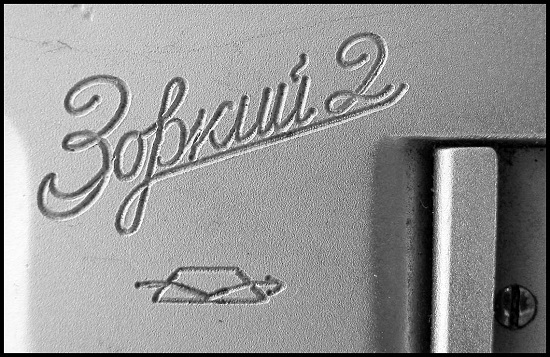 Very rare export version of Zorki-2 camera. 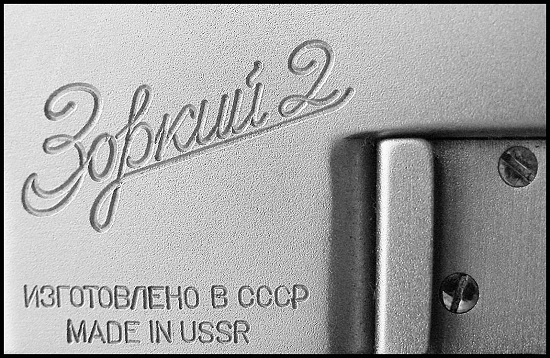 "IZGATOVLENO B CCCP / MADE IN USSR" markings on the top plate, instead of KMZ logotype. 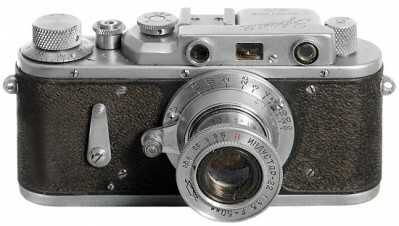 PM1475. 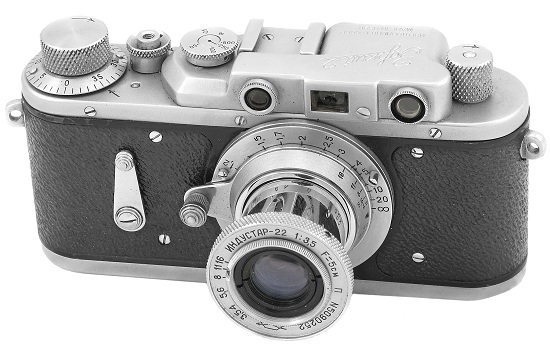 Very rare export version of Zorki-2 camera. 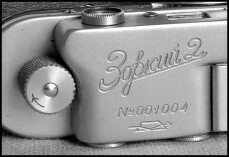 Identical to PM1470, but with signally bigger name markings (see picture below). Camera #552525 opposite from Alexey Nikitin (Russia) collection.